We polled 1,000 people about their online sharing habits and views on privacy surrounding Valentine’s Day, and the results show just how entangled Facebook and other sites have become in people’s romantic relationships. Some of the juiciest findings are below. Respondents could also optionally comment on how the Internet and online privacy has affected their romantic life, so we’ve included some of their quotes. People are sharing intimate details online. 53% of people share about their love lives on Facebook, while 37% post their romantic details on other sites (like Twitter, blogs, or dating sites). Of people who post about their love lives online, the most common thing to post about is relationship status (81%). 62% post who they’re in a relationship with, and 61% post pictures with that person. About one-third (34%) of people share their sexual orientation. 21% of people say they’ve been lied to on a dating site, while only 10% admit to lying about themselves. 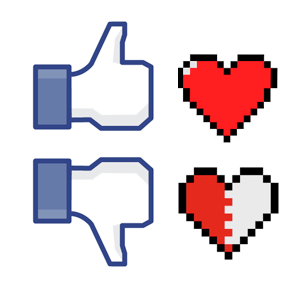 Facebook has made breaking up more complicated. You can’t just break up in real life: you have some digital cleanup to do now, and chances are your breakup is way more public than it would be without the web. After a breakup, 63% of people de-friend or block their exes on social media sites, and 50% of people de-tag themselves in photos with their exes. In comparison, only 34% de-friend or block co-workers when they change jobs. People are worried about their privacy, but they aren’t sure how to protect themselves. Many are sharing a lot, but they aren’t always locking down their privacy settings or being picky about the friend requests they accept. “With terms of service and random privacy settings changing constantly, it’s difficult to keep up,” one respondent said. Only 10% of people are less concerned about the privacy of their love lives online than 1 year ago. 62% of people are not confident in the privacy of their photos, videos, & other info on social media or dating sites. 57% have accepted friend or follow requests from people they don’t know well, and only 22% use custom settings so only certain friends can see their posts. Are these results surprising to you? 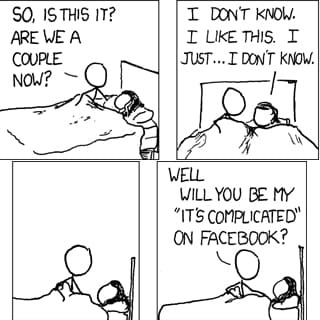 What are your experiences with the web and your romantic life? Thanks for the interesting survey. 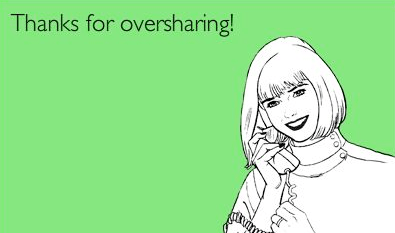 We used it today for our Valentine’s Day blog post…with proper attribution, of course.